Note: There is some confusion about the goal scored at Bradford City on 10th December, 2011. The official decision was that it was scored by Craig Sutherland, so we have allocated it to him, but some records say it was Simon Walton (and the TV coverage shows that Walton had a strong case). 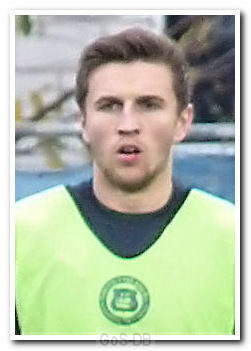 Sutherland joined Argyle on a two-month loan from Blackpool in November 2011. He began his career with George Watson's College in his hometown of Edinburgh, before moving to the United States on a soccer scholarship. He spent two years with the Mustangs at Midwestern State University in Wichita Falls, Texas, before completing his collegiate career with two years playing for the Wolfpack of North Carolina State University in Raleigh, North Carolina. A pacy striker, Sutherland sent DVDs of his performances to a number of clubs in England and Scotland and had trials with several teams, including Reading, Dumbarton and St Mirren, before being offered a contract by Blackpool after impressing in a pre-season friendly. 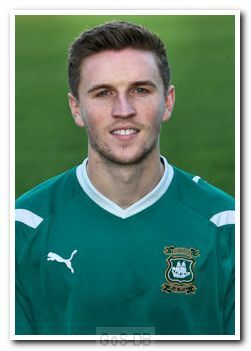 He made his debut for the Seasiders as a substitute against Hull City in August 2011, and his first start followed six days later, against Sheffield Wednesday in the Carling Cup.